The Karpeles Manuscript Museum has put their building (the old Methodist Church on Johnson Street) up for sale. The city is working to try to keep them here. We are putting together a presentation to go before City Council Thursday February 5th defining the many benefits of the museum to our city. The last portion of the presentation will be a list of people who urge that council make every effort to ensure this museum locates in our city including making available funds from the Hotel/Motel Tax Fund. We are soliciting names of people to include from across this community who support this endeavor. Below is the actual text under which the names would be listed. Please reply to this email if we can have your permission to include your name on the list. If you have questions please feel free to contact Tom Stansel at 713 247-9356. For additional information, this is the link to the Karpeles Museum website: http://www.rain.org/~karpeles/ it is well worth the time to look at the web site and see the Karpeles’ incredible collection. 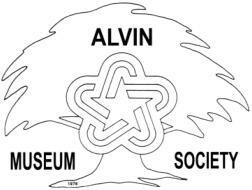 Thanks, Tom A Request from the Alvin Community Dr. Karpeles is a California philanthropist who has spent many years collecting significant documents and currently has a collection of over 1 million original manuscripts (the largest private collection in the world). He has opened over a dozen manuscript museums around the United States where his huge collection is displayed. His museums do not charge an admission fee and he has also instituted a program of taking copies of the manuscripts to local schools as a free educational tool. Alvin has been incredibly fortunate to have Dr. Karpeles select Alvin (the only site in Texas) as a site for one of his museums. He has purchased the old Methodist Church on Johnson Street and has been restoring this historic building for over 3 years but due to rising costs and building code issues, he is considering relocating elsewhere. We request the Mayor and City Council make every effort to ensure this museum locates in our city including making available funds from the Hotel-Motel Tax Fund.